Welcome to The Joy of Sets New Catalogue Blog Hop! You are visiting Angie McKenzie from the USA. You are either starting with me or landing here after visiting the blogs of Jennifer Arent or Jackie Lawless. The Joy of Sets is a closed Facebook group created by the lovely Fiona Whitehead from England. 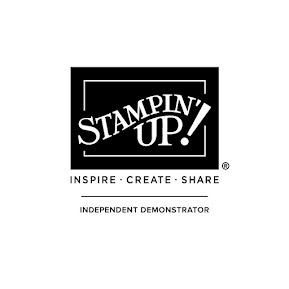 The group is full of Stampin' Up enthusiasts who share the love of all things Stampin' Up! - both old and new. And today's card is a card that created for a recent Card Swap within the group. 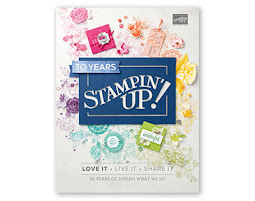 The Love What You Do stamp set was the first stamp set from the new catalog that I had to have! 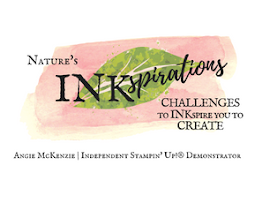 Before the catalog launched, Stampin' Up! had an offering of three special bundles for stampers - the Just Getting Started bundle (for beginners), the A Little More, Please bundle, and the Gotta Have it All bundle (for advanced stampers). Needless to say, I had to have it all! Not necessarily because of everything in the bundle, but because I wanted the FREE stamp set that was only available during the month of May... and it was the Stampin' Up! Statement of the Heart stamp. 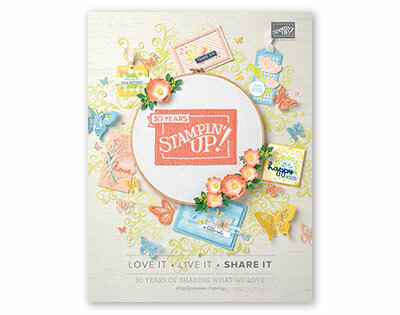 The Do What You Love stamp set coordinates with the lovely Share What You Love Specialty Designer Series Paper! And if you think I've included this gorgeous DSP on this card, then you need to look again! I had fun recreating the DSP from the stamp set!!! I love to watercolor when I create my cards... it's so relaxing AND it's a very forgiving and quick way to color stamped images. After creating my own background on Shimmery White cardstock, I embossed a very special sentiment from the set on a circle using the 2-1/4" Circle Punch. I also added some of my favorite Linen Thread behind the circle before attaching it to the card on Stampin' Dimensionals. And for an added touch, I added a vellum die cut from the Stitched Seasons framelits which are available in August while supplies last! These framelits are a part of the Blended Seasons bundle again, only available in August while supplies last. 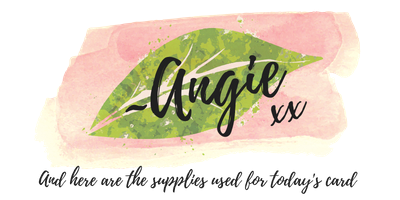 I hope you have been inspired by my card today, but there are twelve of us participating so be sure to hop around each of the blogs to see all the inspiration! As you sure don't want to miss any! 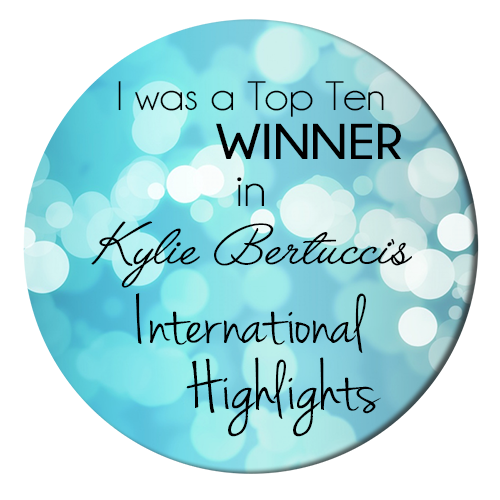 Thanks for visiting my blog today! You can click PREVIOUS to visit Jennifer Arent or NEXT to visit Jackie Lawless. Happy stampin' and have a blessed day! Wow Angie - I had to do a double take for that DSP - and may I just say I prefer yours! lol! It's not as busy as the DSP so its easier to see the lovely flowers. That Blackberry Bliss shows up so well against the watercolouring. Beautiful. Thanks for being part of JOS and joining in with the hop! Thanks so much, Fiona! I so enjoyed making this card for the JOS Card Swap. Love this group and it's a pleasure hopping with you! I had to reread your post, I thought for certain that was actual DSP! You did an amazing job recreating it! Thanks so much, Liza, it was a lot of to create! What a beautiful card Angie - the white embossing really makes it 'pop' and I you did an awesome job creating your own custom DSP!! Love this Angie, I have to have a go at that DSP it's stunning. Great job creating your own DSP - thanks for sharing such a lovely card. I seriously had to do a double-take on that background, too! It's perfect - not too busy and just the right amount of softness. Nice job!